On Oct. 1, the Occupational Safety and Health Administration (OSHA) officially kicked off its National Emphasis Program (NEP) targeting trenching and excavation. It’s not too hard to figure out why. Trenching and excavation work exposes workers to particularly dangerous hazards. According to the Bureau of Labor Statistics data, between 2011 and 2016 there were 130 fatalities occurring in trenching and excavation operations. The private construction industry accounted for 80% of those fatalities, and 49% of them occurred between 2015 and 2016. Of the private construction fatalities, 40 (38%) were at industrial places and premises; 39 (38%) were at private residences; and 21 (20%) occurred at streets or highways. OSHA’s long-standing focus on trenching and excavation violations has resulted in numerous high-profile penalties for companies, note attorneys Thomas Metzger and Sarah Squillante of the law firm of Littler Mendelson. Earlier this year, the agency announced proposed penalties in excess of $400,000 against a company for alleged exposure to trench cave-ins and other violations. OSHA also issued proposed penalties in excess of $250,000 against another employer after it found that employees were allegedly working without cave-in protection while working in a trench. “The issuance of citations and significant penalties is likely to continue as the agency refocuses its efforts toward reducing these types of hazards,” Metzger and Squillante say. In light of a recent resurgence in trenching and excavation fatalities and serious injuries, OSHA announced a renewed emphasis on these workplace hazards starting with a three-month period of education and prevention outreach that it kicked off on Oct. 1. In addition, OSHA said it will provide support for compliance assistance and inspection programs, create a national reporting system for all OSHA trenching and excavation inspections, and establish a requirement that each OSHA Area Office develop and implement outreach programs. To assist employers, the agency has issued new compliance guidance in response to the NEP. OSHA has an online resource for practical guidance on complying with the standards. Employers also should review OSHA’s Trenching and Excavation Quick Card, which was recently updated in advance of the NEP. Outreach programs will include providing compliance assistance material to excavation employers, permitting and other municipal organizations, industry associations, equipment rental organizations, water works supply companies, and major and local plumbing companies, OSHA reported. 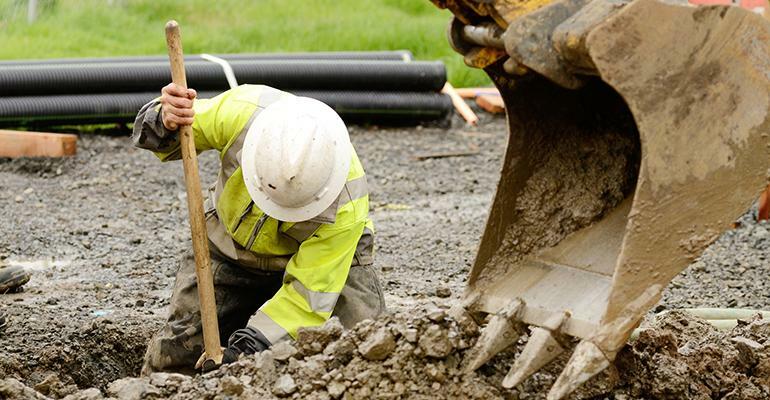 The NEP also requires OSHA area and regional offices to concentrate their enforcement resources on employers performing work involving trenching and excavation. Specifically, OSHA compliance officers will initiate inspections under the NEP whenever they observe an open trench or open excavation. OSHA-approved state plans are required to notify OSHA within 60 days about whether they intend to adopt policies and procedures identical to those in this instruction or adopt or maintain different policies and procedures. If a state plan adopts policies and procedures that differ from federal ones, it must identify the differences and may either post its policy on its website and provide the link to OSHA or submit an electronic copy to the federal agency. In addition, the NEP calls for inspectors to initiate inspections when they observe employers performing trenching or excavation work near sites that are being inspected for other reasons. Thus, if OSHA is at a worksite for a programmed inspection, compliance officers will also be looking for trenching or excavation work, Wilensky and Martin warn. “The NEP means that employers performing trenching or excavation work are subject to the dreaded ‘drive-by inspection.’ If an inspector happens upon an employer’s excavation, an inspection can be opened,” the lawyers explain. Wilensky and Martin believe this may run afoul of a string of court decisions requiring the agency to obtain an administrative warrant before conducting an inspection, either in response to specific complaints or because the site was selected on the basis of a general administrative plan derived from neutral sources. According to Wilensky and Martin “neutral sources” typically means either random selection or selection by relevant statistics that have no individual human component. Although this could ultimately fuel litigation directed at the new NEP, they advise employers to adhere to the new directive unless they are looking to be a test case.